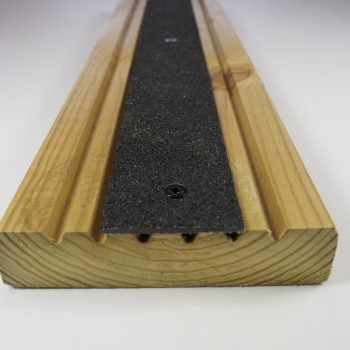 GRP Anti-Slip Decking Strips are hard wearing & durable for a long-lasting solution to hazardous decking. 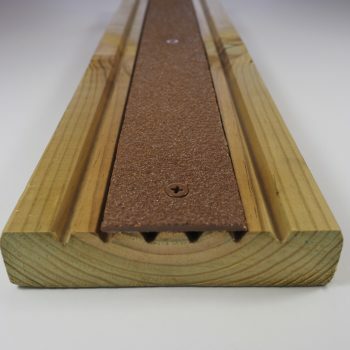 Manufactured using premium quality GRP with aluminium oxide grit and easy to install. We supply countersunk colour matching or stainless steel screws as required and pre-drill and pre-cut the strips to your required length. Superior performance and wear characteristic. Equality Act & UK Building Regulations compliant. Hardwearing aluminium oxide grit granules give superior performance and wear characteristic compared to common quartz grit finishes. 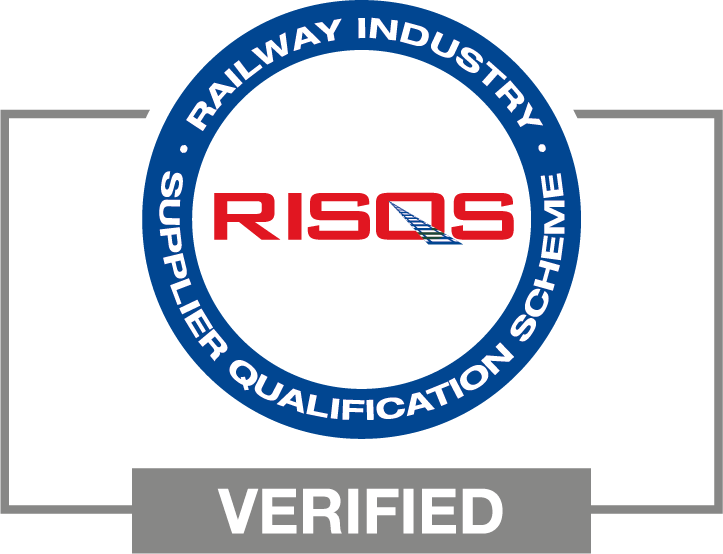 Applications include decking, walkways, picnic areas, boardwalks, ramps, platforms and bridges. 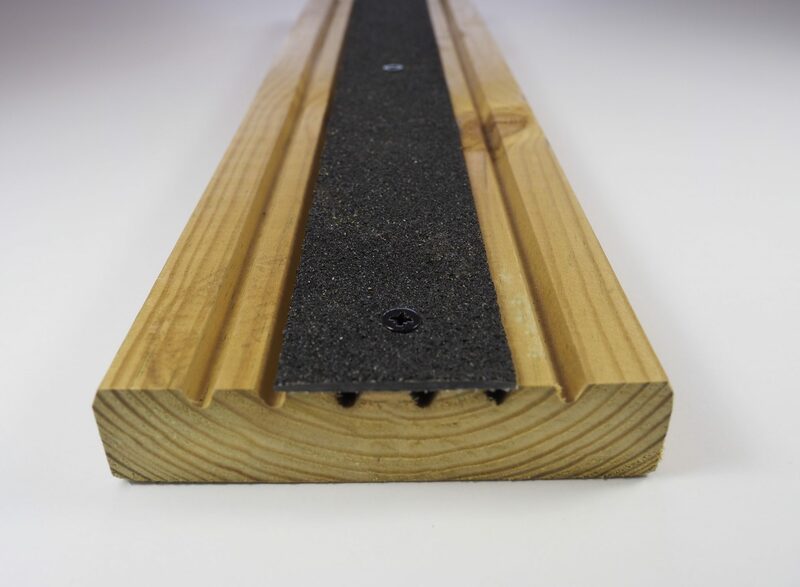 GRP Anti-Slip Decking Strips are hard wearing & durable for a long-lasting solution to hazardous decking. 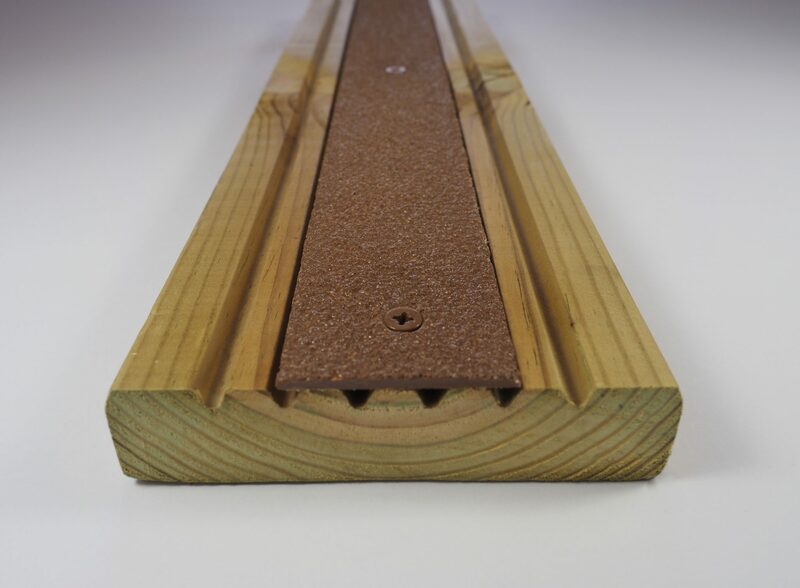 Manufactured using premium quality GRP with aluminium oxide grit and easy to install. 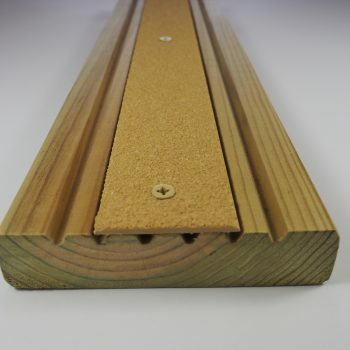 Anti Slip Decking strips can be supplied with countersunk colour matching or stainless steel screws as required* and pre-drill and pre-cut the strips to your required length. 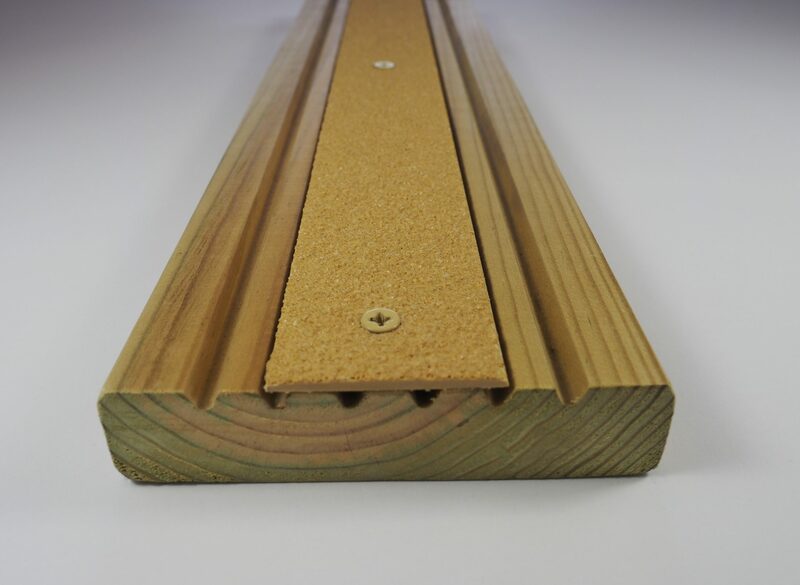 The strips can be installed in a variety of situations and are the perfect solution to ensuring a surface is slip resistant whilst keeping the aesthetics of the timber decking.